Volunteer firefighters face unique challenges when responding to emergency calls. To help overcome these challenges, we created emergency vehicle equipment specifically for volunteers. 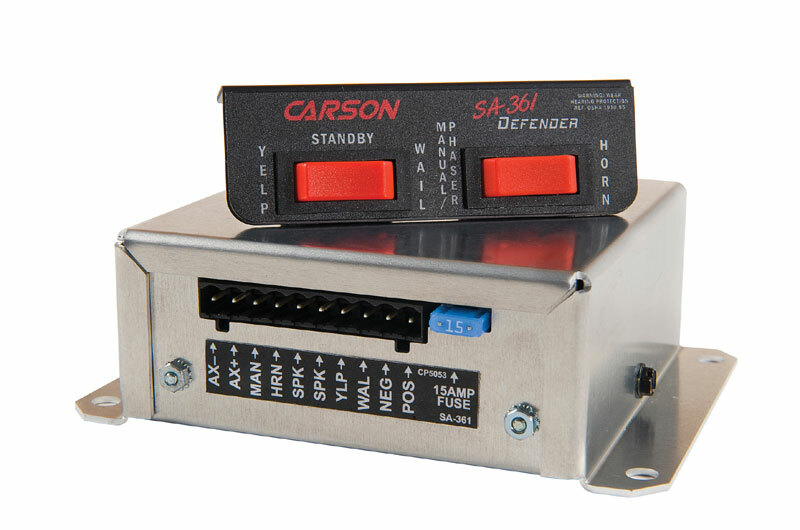 For almost 40 years, Carson has been an innovator in the emergency vehicle siren industry. 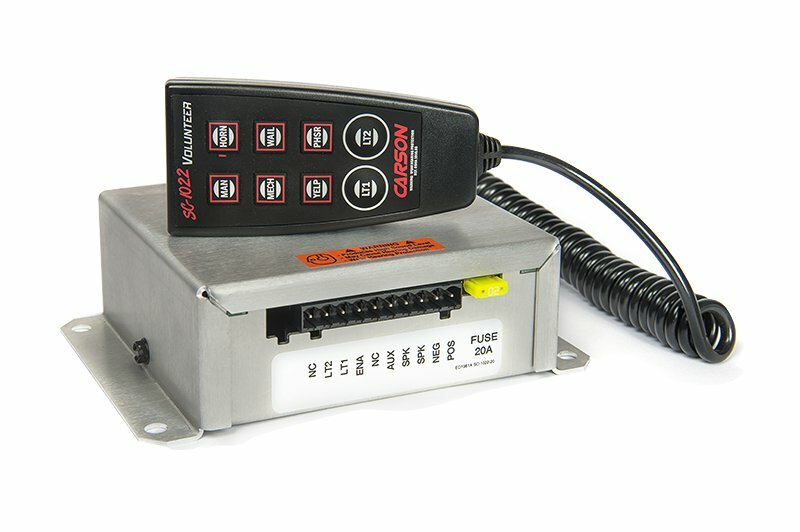 We have built a reputation of rugged, reliable, customer driven products. We understand the hard work and sacrifice that volunteers provide to our communities and country, and we are dedicated to providing the best products and service. The second leading cause of volunteer firefighter deaths is motor vehicle accidents en route to a call. We took this to heart when we developed our Volunteer series of sirens. 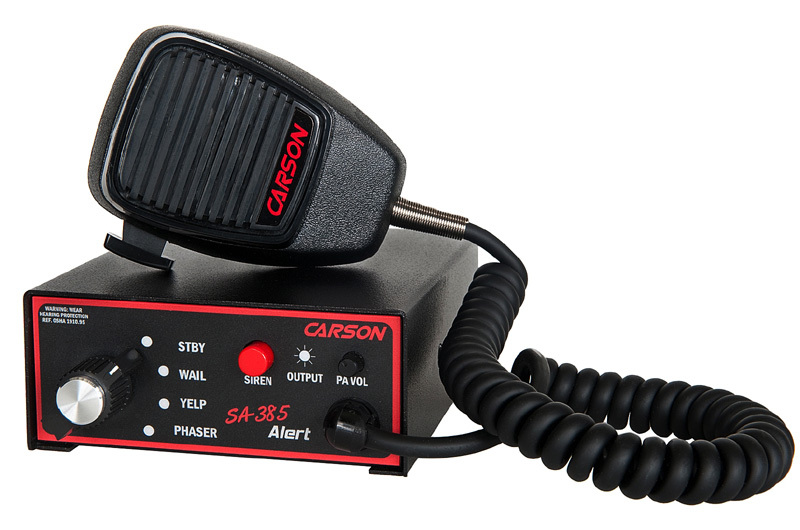 Built to overcome the challenges volunteers face when responding to calls, these rugged, reliable sirens incorporate the traditional siren tones with the Carson Mechanical tone. 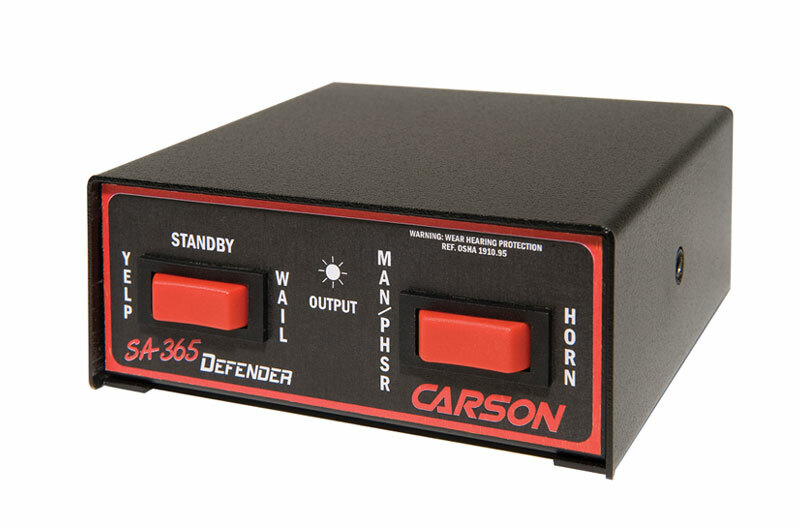 This powerful, full coverage tone helps you safely clear traffic by delivering that instinctive reaction that makes drivers pull over. 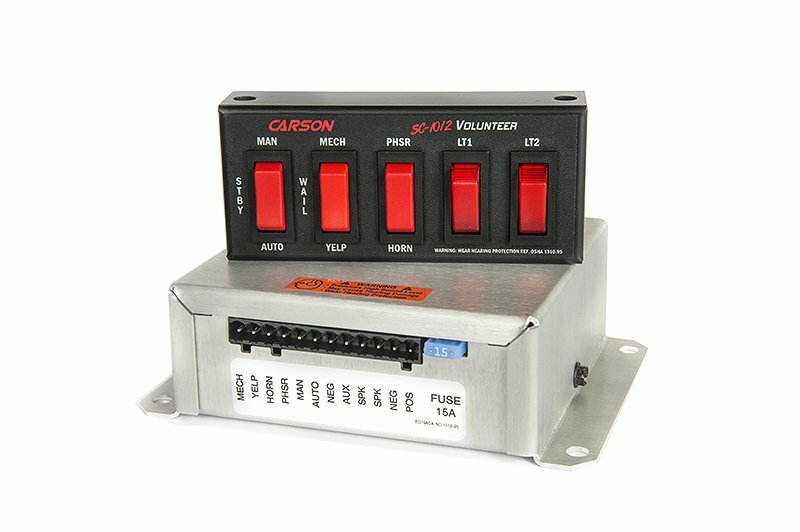 We want you to RUN SMALL, SOUND BIG, and ARRIVE SAFE! 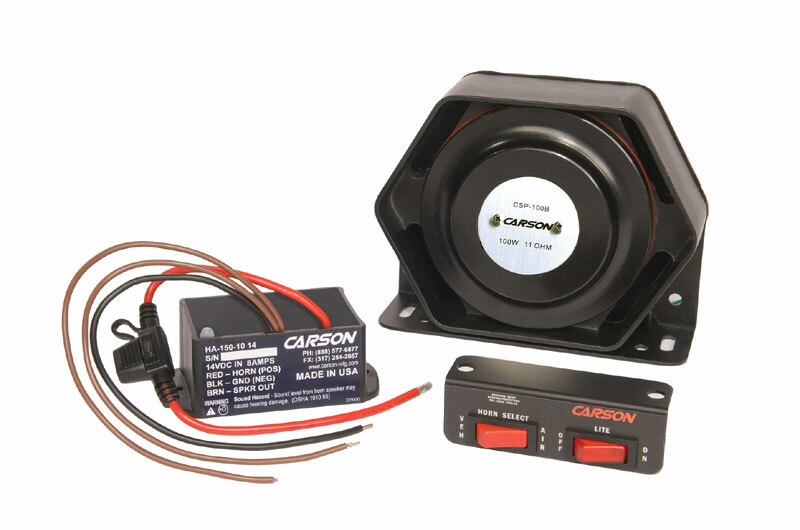 The HPK-150 Under Hood Stutter Horn System utilizes the HA-150 Under Hood Stutter Horn Amp for exterior, all-weather installations. 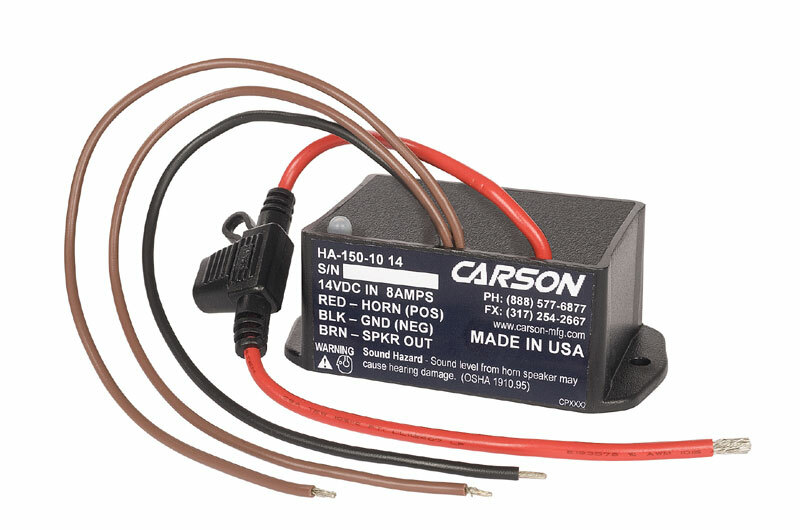 The HPK-150’s ultra-compact component design and waterproof amplifier provides versatile “under-the-hood” installation options for any volunteer POV, motorcycle, ATV, or marine craft. It is also a cost-effective alternative for apparatus, ambulance, escorts, towing, recovery, DOT, or other service vehicles that are not equipped with compressed air horn systems.